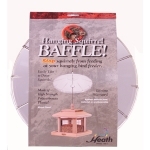 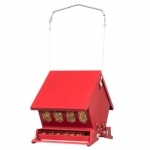 The Butterfly Bird Feeder combines durability with delicacy. 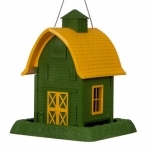 The heavy-duty steel and plastic construction will ensure its longevity for many seasons. 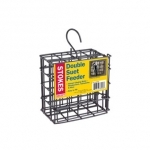 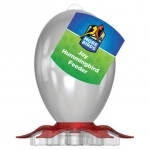 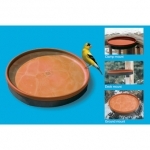 It features a large 3-pound seed capacity and 4 feeding ports around the base. 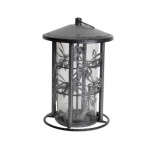 Delicate butterflies add character to the design. 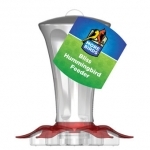 The top unscrews for refilling and cleaning.